Jeff's walk begins promptly at 6AM and leaves from the trailhead. Walks can generally last a few hours, but the pace is set by those attending. While all aspects of nature have long been of great interest to Jeff, birds hold the central focus for exploring the outdoors. Planning for vacations always seems to start with what birds could be potentially seen and would any of them be “life” birds. Jeff has led bird walks on the Tualatin River National Wildlife Refuge for over twelve years as part of the annual migratory bird week. Jeff enjoys pointing out the many bird species that occur in our area that seem to go unnoticed by the majority of the public. Jeff is a fish and wildlife biologist who works for the U.S. Fish and Wildlife Service at the Oregon Fish and Wildlife Office in Portland, Oregon. Jeff has spent the last 11 years as the recovery coordinator for most of Oregon. His job entails working on the conservation and recovery of listed and candidate species through the implementation of recovery plans, partnerships, and restoration of native habitats. Previous to this, Jeff spent eight years as the U.S. Fish and Wildlife Service’s lead in the Deschutes Basin for Northwest Forest Plan issues (northern spotted owl) and resource management issues in Central Oregon (Interior Basin). 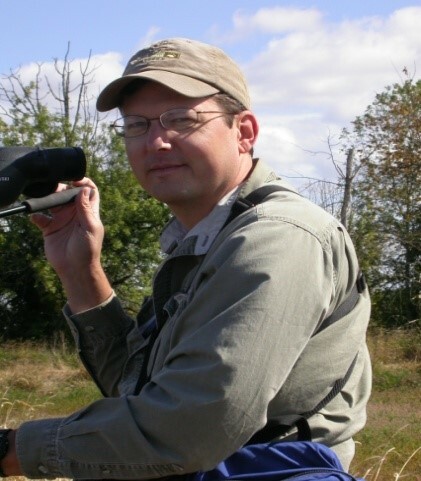 Jeff majored in Wildlife Management at Purdue University, West Lafayette, Indiana, where he received a Bachelor’s of Science in Forestry (BSF) and afterwards, obtained a Master’s of Science (MS) in Wildlife Ecology at Louisiana State University, Baton Rouge, Louisiana.